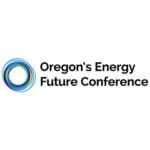 Presented by Northwest Environmental Business Council (NEBC), Oregon’s Energy Future is the state’s signature clean energy event. Attendees gain a deeper understanding of the political, economic, and social forces driving Oregon’s clean energy economy, and come away with insights into how to meet the current challenges and take advantage of opportunities. This is Oregon’s unmatched forum for learning, networking and business development, with content covering policy, the business of renewable energy, and energy technology and innovation.